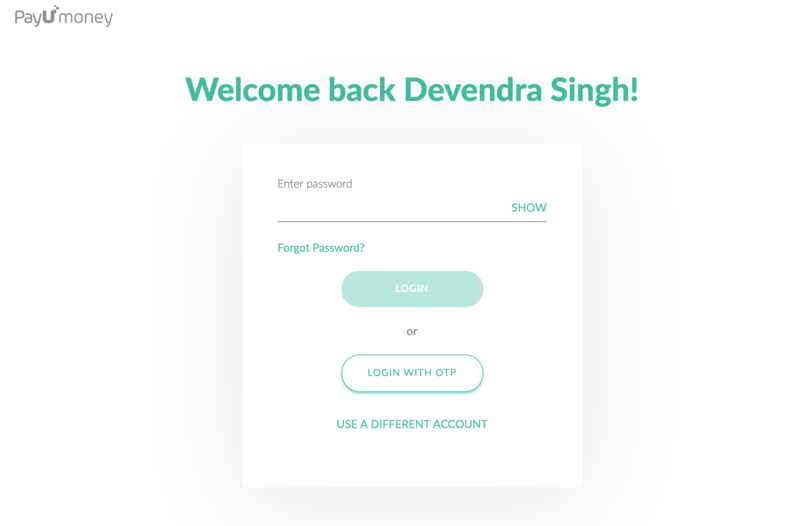 Click on ‘Login with OTP’. 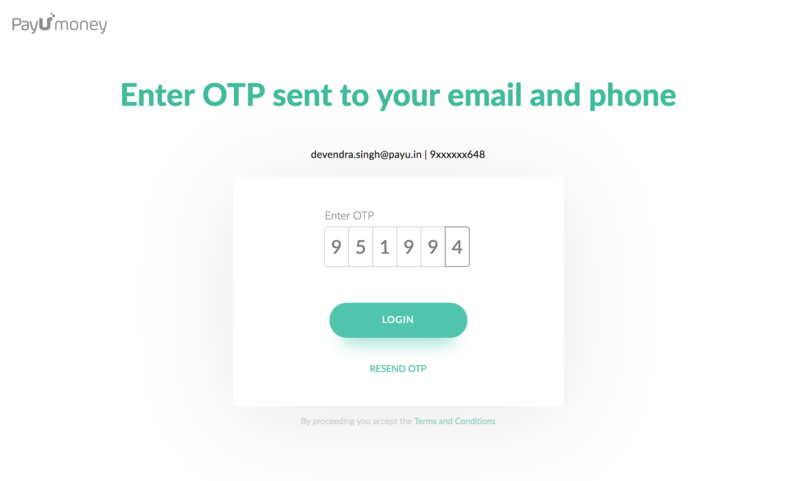 Enter OTP sent to your registered email ID & phone number. Click on Login. Use the forgot password link on login screen to reset the password. Please select your business filing status as ‘Individual’. The ‘Operating Address’ is your current address where your business is operated from. ‘Business Address’ is the address which has been registered while getting your business started. Kindly drop in a request via our contact us page. 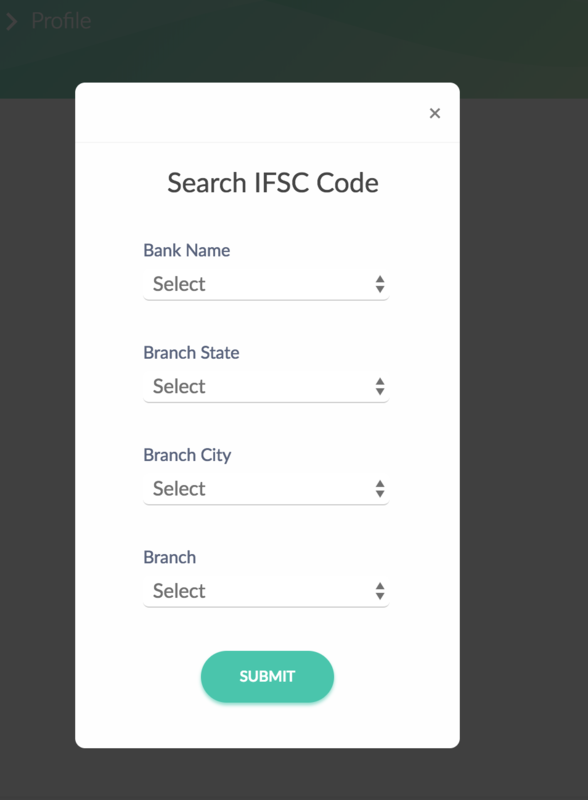 Please select 'Account Related' in the Issue type dropdown. We will be happy to help you. Fill in the required details and click on 'Submit'. 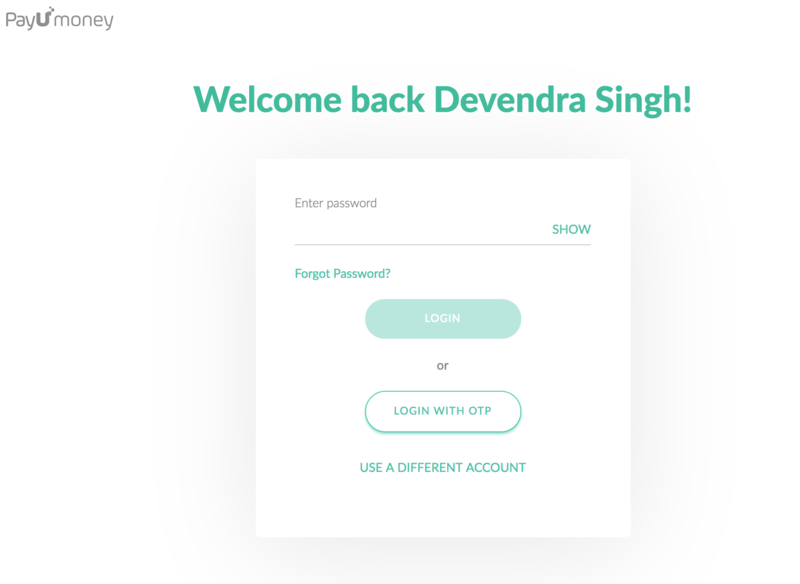 Login to your PayUmoney Account. Check your Bank Account statement and find the small amount deposited by 'PayU Payments Pvt. Ltd'. Now enter that amount on your PayUmoney Dashboard. That’s it, your bank account is verified! 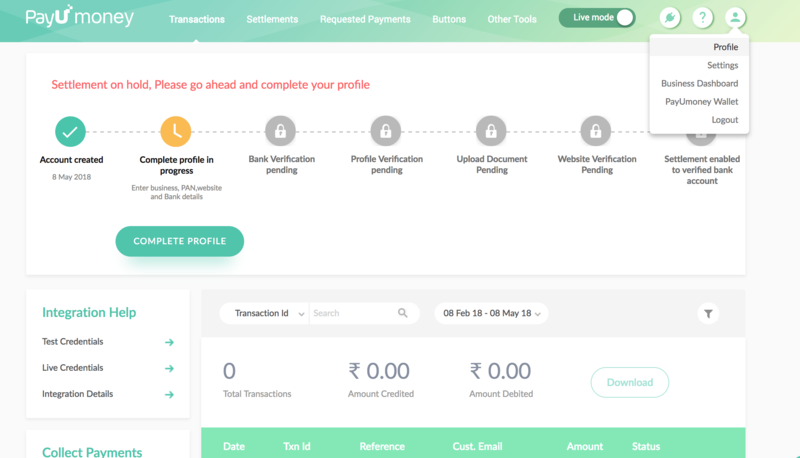 Know "How To Verify Bank Account On PayUmoney Payment Gateway" from this video. 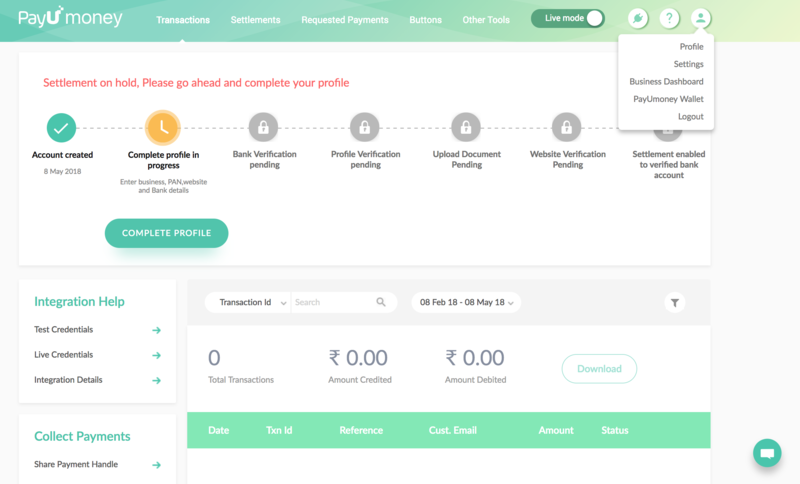 You can view your recent transactions as a default option on your PayUmoney Dashboard. 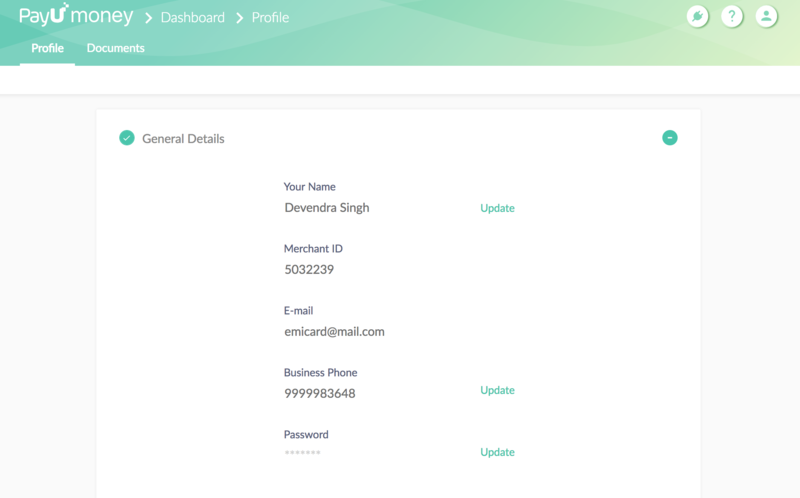 To view all the transactions in the selected time period, you can use the ‘Filter’ option below your account name. 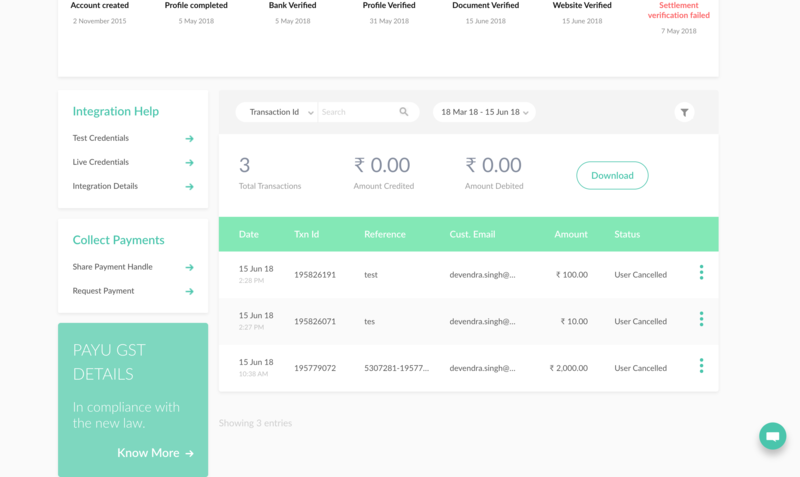 You can also download your transaction summary by clicking on ‘Download’. Watch this video on "How To Check Payment Settlements On PayUmoney Business Dashboard" to know more. We have different document requirement on the basis of your business filing status. Learn more about the "Documents Required For Payment Gateway" through this blog. You can share soft copies of the documents by uploading on your PayUmoney Dashboard. If you are taking donations as charity, you will need to submit Form 12A or Form 80G on the society’s or the trust’s name under which you are running your business as charity. The process is completely online and hassle free. 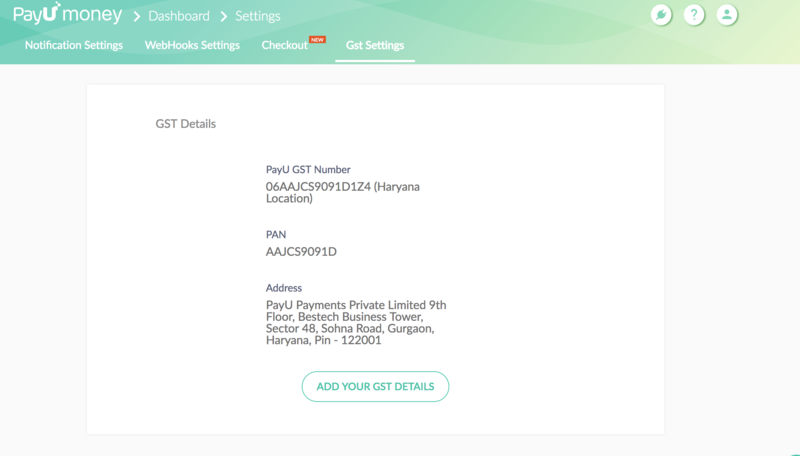 You can upload a soft copy of your agreement and documents from your PayUmoney Dashboard. Your agreement will be available after your business category is approved under Profile > Documents. For business category verification, our business team will reach out to you. Please note that - You can only upload documents once your bank account is verified. Each page of agreement and document should be signed and stamped by the Authorized Signatory. For Individual businesses (non-registered businesses), only signature on each page of document & agreement will be required. Kindly drop in a request via our contact us page. Please select 'Document Related' in the Issue type dropdown. We will be happy to help you. We are sorry for the inconvenience caused. 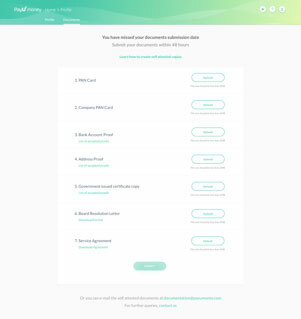 Please send us the scanned copy of all your documents to activation@payumoney.com We will help you with the process further. One of the reasons can be that your business category might have not have got an approval. Kindly drop in a request via our contact us page. Please select 'Document Related' in the Issue type dropdown. We will be happy to help you. Please note: Agreement will be generated in two working days once you have uploaded the documents. We will notify you via email. Yes can send hard copies to the following address once your business category is approved- 9th Floor, Bestech Business Tower, Sohna Road, Sector-48, Gurgaon-122002, Haryana, India. For hassle free and smooth verification process, it is advised to upload soft copies of your scanned documents on your PayUmoney Dashboard. Home page should be live with basic information but not limited to: About Us, T&Cs, Refund Policies etc. Yes, address verification from bank will suffice. 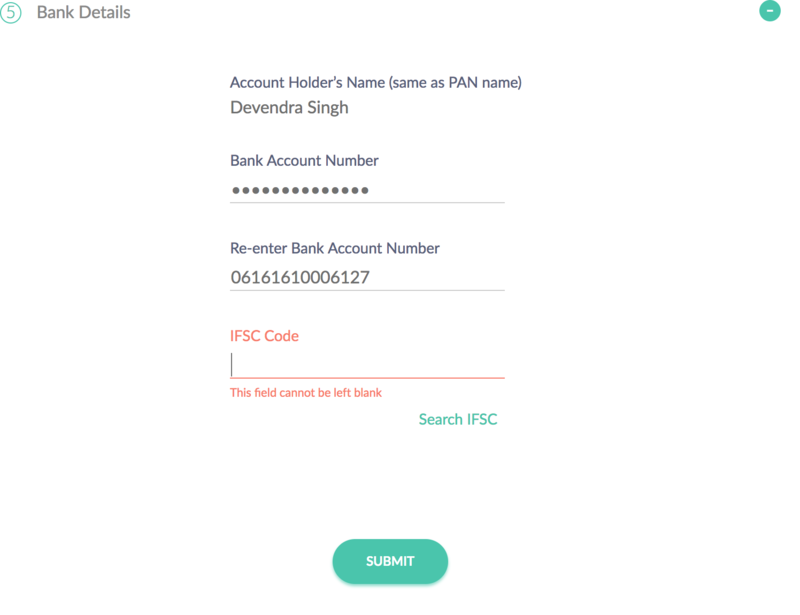 It is required that the bank specifies in the subject that letter being provided is verifying the address of the individual. At every step, we share a communication through email and SMS to our merchants. Please check your inbox for the latest updates on your account. If you still want to check status on your agreement and documents then kindly drop in a request via our contact us page. Please select 'Document Related' in the Issue type dropdown. We will be happy to help you. Your website might not be verified by our team. Our team will reach out to you, in case you haven’t been able to connect with the team, kindly drop in a request via our contact us page. Please select 'Document Related' in the Issue type dropdown. We will be happy to help you.